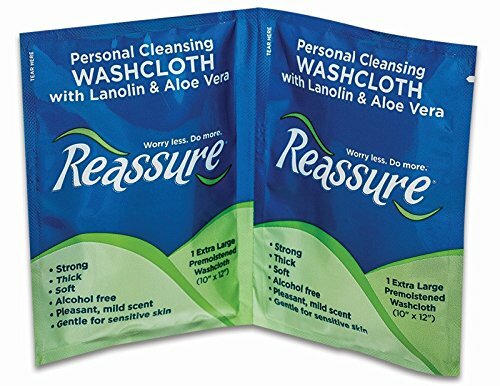 Because they are individually wrapped, Reassure Travel Wipes stay moist until you need them. The convenient single-wipe packets easily tuck into your purse or pocket or to keep around the house. Aloe Vera and are hypoallergenic and alcohol free. Larger and thicker than most pre-moistened wipes making them ideal for adults. Both soft and strong with a gentle cleansing lotion. No rinsing necessary. If you have any questions about this product by Reassure, contact us by completing and submitting the form below. If you are looking for a specif part number, please include it with your message.